Welcome to our site. We are the professional cleaning experts. 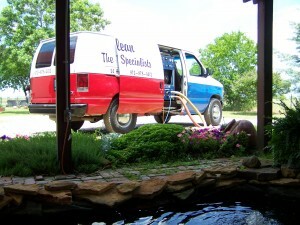 My name is Jim Snyder, and this is our family owned and operated cleaning and restoration company. We are very proud to have been providing excellent service for over 25 years. I work along side my wife Ginny, our daughter Lindsey, two sons Dalton and Dylan, and a wonderful extended family, staff, and friends. Together we work hard every day to provide you with the a service that you can be proud of. We care about one of the biggest investments you will ever have, your home. Not only will cleaning extend and preserve the life and beauty of your home, but it will also allow you to showcase your home like never before. Your home is a big job to maintain and an important investment so having a team of professionals take care of you and your home will benefit in many ways. All-Clean, being professional and honest, has the experience and equipment it takes to keep your home clean and ready. We are passionate about what we do and we take pride in how we do it. Our family cares and it shows. Our clients and their needs are most important. Having All-Clean maintain your home gives you peace of mind knowing the job is going to get done and allows you quality time that you could spend doing something else. It is therapeutic in a way, with no harmful side effects. Don’t put it off another day. Call us now and we will help you get back on track. Satisfaction guaran-CLEANED!